There are two issues to the story I’m about to present. Autism is clearly one of them, but the other is something we’ll likely hear more about as more parents consider getting a therapy dog to assist their autistic children: are they truly service animals or well-trained pets? The most recent episode is covered by The Oregonian. An autistic boy with severe complications, which includes attempting to hit other classmates and teachers at the elementary school he attends, gets assistance from a therapy dog his parents got for him. 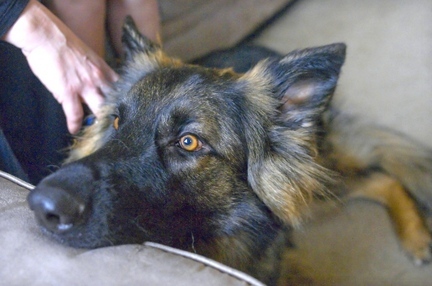 Madison, a two-year-old German Shepherd, mitigates the boy’s symptoms by stopping him when he attempts to run away (a common side effect caused by a lack of environmental awareness), and lying on him when he suffers an emotional meltdown (also common because they often lack knowledge on less violent alternatives to express emotional distress). However, the Hillsboro School District won’t allow Madison to go to school with his owner, saying the boy is doing fine on his own. The refusal to allow Madison in school has led to the U.S. Justice Department investigating a complaint from Disability Rights Oregon that could affect other families seeking therapy animals for assistance. 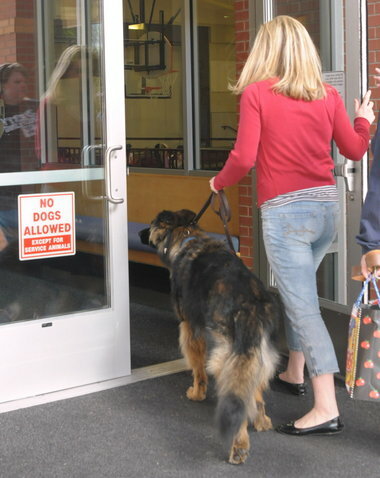 The school district argues that it’s a matter of process, saying there is no need for a service animal if there’s a student doing well in school. Therapy dogs aren’t covered under the Americans with Disabilities Act, but are growing in popularity. Still, fully-trained dogs helping autistic students in public schools are rare. The Autism Society of Oregon says that school districts will fall back on basic policies because therapy dogs are new territory for them. From a social perspective, it’s a two-pronged pitchfork. It’s not unusual for neurotypicals to go with the simplicity route. They don’t hold a vendetta against the disabled, but they sometimes lack an understanding of that community because they don’t have to deal with them on a daily basis. The school district was also concerned about allergies and students who fear dogs, but the Hillsboro superintendent dismissed them as primary issues. The story’s lead would contradict what the school district is suggesting, and if that’s indeed true, the school district’s statement also raises questions about what constitutes “doing well” in school. Is he doing well academically, or doing well because he’s removed from a mainstream setting where other students would be at risk from the boy’s behaviors. One solution to resolve this dispute is adopting what the Beaverton School District did and have the dog go to school with the boy on a trial basis, making observations on how the boy behaves with the dog versus without him. Human rights aren’t the only issue here. The story also reflects how people define service animals. Parents who use therapy dogs for children with autism would most likely claim that therapy dogs are service animals, along with the trainers who send therapy dogs to families once training is completed. It gets murky with everyone else, and opinions are reached on mostly personal levels versus scientific ones. The place where Madison was trained, 4 Paws for Ability, says the German Shepherd received 500 hours of training before he was assigned to his family in Oregon. The article presents some new ingredients that will likely be used as the autism debate evolves. The story does more than cite arguments from both sides of the story. Otherwise, we wouldn’t have learned that Oregon has dealt with this issue before in the Portland area. 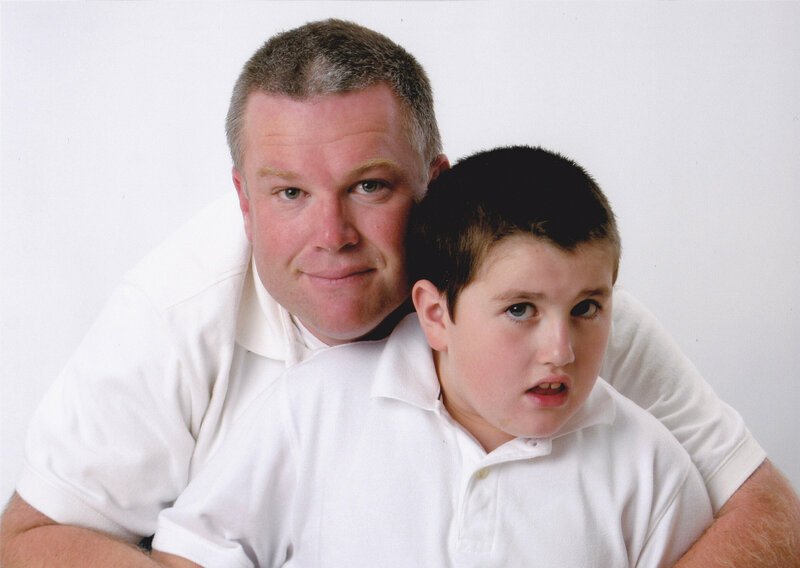 Don’t be surprised if you see a similar story appear sometime in your local newspaper or TV station; it’s a fresh look that avoids rehashing what most reporters have already told us about autism. Even I haven’t considered the debate about service animals and autism because I never required the use of a therapy dog, but this story shows us that civil rights in the autism community aren’t limited to humans.